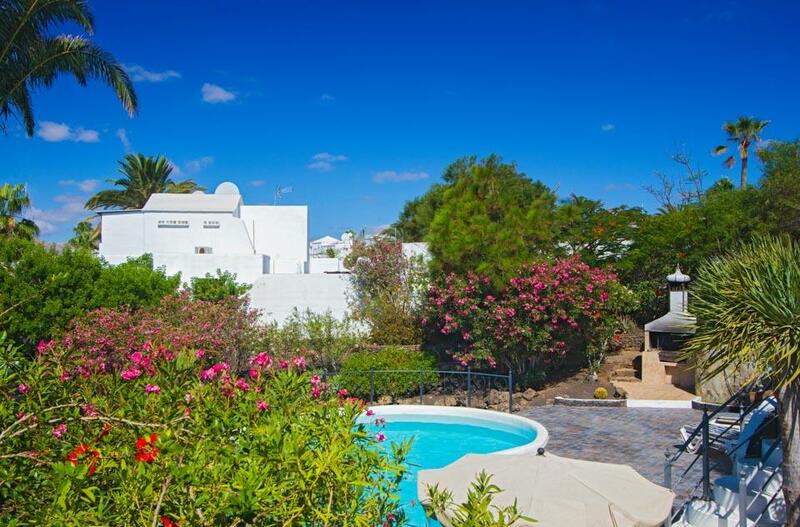 Villa Cilla is a delightful villa, located less than a 15 minute stroll from the lively and popular beach resort of Puerto del Carmen. Positioned in a privileged elevated plot, the views from here are truly outstanding, we envisage that many a day and evening will be spent here in the villas’ hot tub, with a glass of wine to hand, admiring the stunning views whilst supervising the younger family members splashing around in the larger than average private swimming pool below. 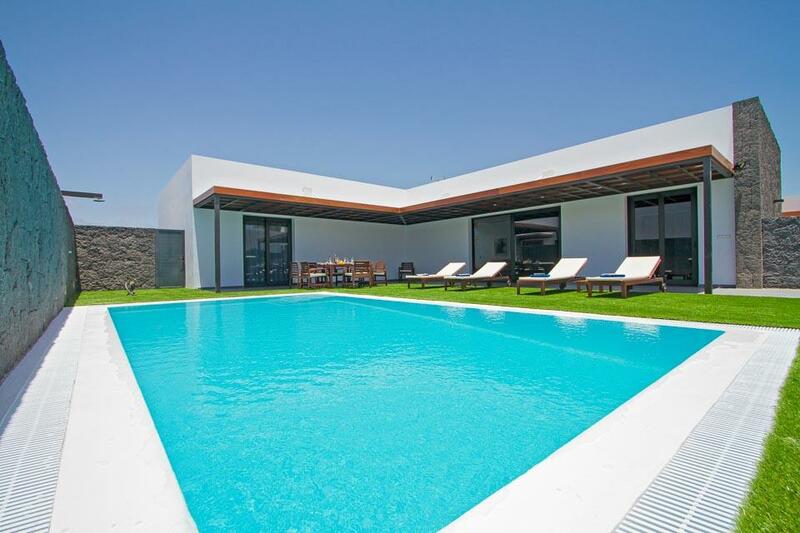 The interiors of this splendid villa are bright, airy & particularly spacious, perfect for large families or groups of friends traveling together. 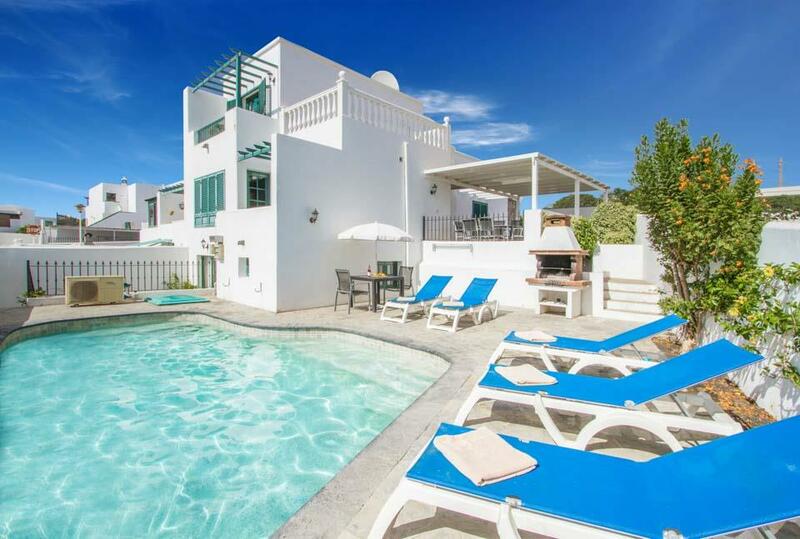 Should you wish to venture out from this fabulous vantage point, we highly recommend spending a few evenings down in Puerto del Carmen, where you will find a range of excellent restaurants, bars and shops, especially towards the old port area. For those of you who enjoy long evening strolls, the wide pedestrian promenade stretches for a good few miles along this scenic and lively shoreline. Cracking location and a nice villa, clean sheets and towels , these were changed by two very helpful ladies halfway through our stay who also had a quick clean whilst they were there, great facilities , warm pool, plenty of space for all 8 of us, well equipped kitchen even had two fridges and a freezer.... ... we had a hassle free booking from Solmar Villas and we throughly enjoyed our week in this lovely villa. 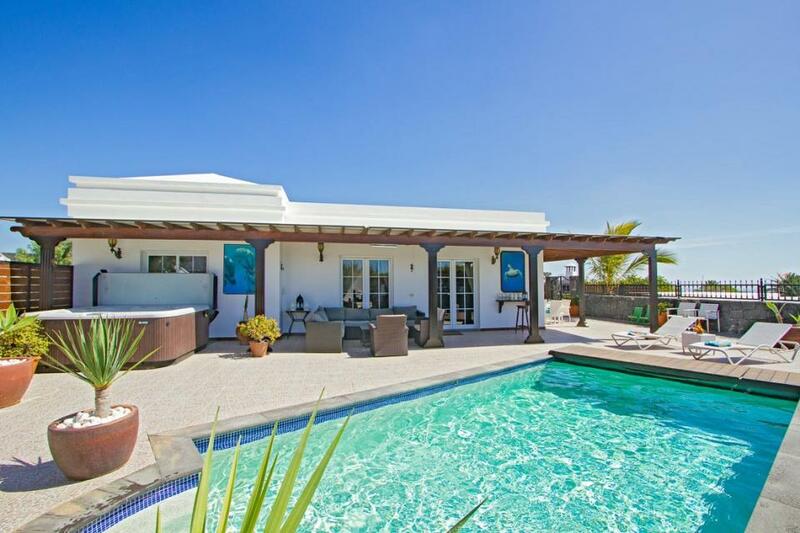 **Save up to 25% by arriving and departing on the standard changeover day**Villa Irene is a central villa to the beach and centre of Puerto del Carmen, set in a small villa community this villa will offers its guests peace and tranquillity and only a..